 Writing his biography without the cooperation of Hopkins (now Sir Anthony), Callan (Julie Christie, 1985, etc.) leans heavily on the existing journalistic corpus for his chronicle of the bedeviled, Welsh actor, nominated this year for his second Academy Award. On the personal side, the book is weak and portentous. 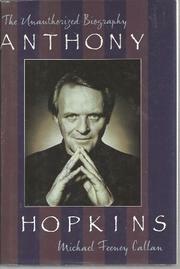 The telling of Hopkins's early years, as the only child of a prosperous baker from the district of Taibach, is drawn apparently from the authorized version, Quentin Falk's Anthony Hopkins. (Callan was shooed away from the actor's elderly mother and told to ``burn'' her phone number.) We must settle for the staccato recollections of childhood neighbors, e.g., ``I believe [Hopkins's father] slapped the boy a bit. Not because he was hard, but because he couldn't understand him.'' Similarly, the breakaway stuff--the shared bedsits, provincial rep, studying at the Royal Academy of Dramatic Arts, apprenticing at the National Theatre under Olivier--is also sparsely furnished. Callan indicates in his introduction that first wife Petronella Barker, who shared the actor's alcoholic storms, will take us places previously off-limits, but her input came with severe restrictions, and her insights are rather more short than gnomic. Happily, there is much here that works very well, notably the rendering of Hopkins's artistic development--the coming to grips with the feminine nature of his muse, the realization and final articulation of an easeful minimalism in his work, the birthing of which, however, took a ghastly toll. English film writer Tony Crawley contributed much new and previously published material. With Hopkins almost as hot as his demons, there will be attention paid.